“Intractable issues vex loyalist studies.” These were the words Ruma Chopra used in an essay, published in History Compass, in 2013. She’s right. As of mid-2015, loyalist studies has come to an important juncture, and the paths historians, researchers, and students go down in choosing their approaches to loyalist studies, within the next decade or so, will affect scholarship for well over a generation. This scholarship, in turn, is being driven forward by a number of graduate students and junior faculty. The likes of Kimberly Nath (Delaware), Pete Walker (Columbia), Sophie Jones (Liverpool), Christina Carrick (BU), Justin Clement (UC, Davis), Rachel Herrmann (Southampton), and Don Johnson (North Dakota State), among others, are bringing new methodologies and outlooks to loyalist studies or aspects of it. But with this upturn in scholarship, where are we to go from here? In summer 2014, in Halifax, I delivered a paper at the annual Omohundro Institute of Early American History and Culture conference. My paper was a twenty-minute summary of my dissertation, which examined the political origins of loyalism in New York. In both, I contended that, during the 1760s and early 1770s, future loyalists in New York City developed political relationships that, by 1775, influenced their allegiance during the American Revolution. They became “loyalists” not because of their opposition to the Continental Congress or because of their support of Parliamentary measures; rather, to a greater extent than historians have realized, political partisanship influenced their allegiance. The Q&A that followed centered mostly on one or two questions: what is a “loyalist” and were these people really “loyalists”? I’ve been asked similar questions for the better part of four years. These questions are not new, either. In 2007, Ed Larkin, on Common Place, grappled with the problem of defining “loyalist.” In 2013, Ruma Chopra commented on the definitional problems, as well. Defining “loyalist” is difficult for a number of reasons. Many of the problems relate to grouping loyalists together. Those white and black men and women who, at one stage, opposed America’s revolutionaries had different backgrounds. Their stories were rarely comparable, and contrasting impulses underpinned their allegiance. Furthermore, many loyalists were not really loyalists at all. As one contemporary noted during the Revolutionary War, people “wait[ed] to go with the stronger.” That is, they sided with the strongest military, or political, presence. Their ideological or political beliefs mattered less than their lived reality. Back in Nova Scotia, in answer to the question on defining “loyalist,” I remarked that a tiered framework could be useful. I have developed this idea, in an episode of The JuntoCast. The number of tiers would vary, but it would work like this: those who were committed loyalists, individuals dedicated to the restoration of British rule, would be a “Tier 1” loyalist. Those who changed sides, people like Peter Van Brugh Livingston, Jr., would be further down the scale. This could be a workable tool for teaching purposes, but I do not think it can be used to further scholarship. If one adds too many tiers with hopes of understanding how the Revolutionary War affected ordinary people, then the term “loyalist” becomes meaningless—if everyone was, at one point, a “loyalist,” no one was a “loyalist.” Simply put, by asking what a “loyalist” is indefinitely, we run the risk of missing the forest from the trees. Where, then, do we go from here? Like Brendan McConville, I do not have an open-access Manifesto for Loyalist Studies. But, like Woody Holton advocates, a return to microhistorical, comparative studies might offer a new direction. Indeed, a focus on the lived reality of people during the Revolutionary War, individuals who, for whatever reason, did not support America’s revolutionaries, could trigger a new direction in loyalist studies. That is to say, by focusing less on “what is” and focusing more on “what happened, and why,” we might begin to understand the contrasting local impacts of war, investigating how and why it affected people in distinct, though related, ways. Take, for example, a town in rural Pennsylvania. Compare with another town in rural New York. Undertake a prosopographical analysis of the populations—find out who they were—and determine how they behaved during the 1750s, 1760s, and 1770s. Any significant differences? Why? And thus proceed through the Revolutionary War to compare how and why people behaved as they did. There are other, less challenging, options, of course, but above all it is imperative that we distance ourselves from banging heads over defining “loyalist” or “loyalism.” We must appreciate that, just as the colonies were different, so, too, were their loyalists. Grouping “loyalists” together, as one homogenous entity, over-simplifies their individual motivations, their individual stories. Just as referring to a “loyalist” as a “tory” misconstrues the latter’s meaning—“tory,” as Borealia readers are no doubt aware, is reflective of “Toryism,” not loyalism, though there might be connections, in some cases—lumping the former together misconstrues and reduces their stories and experiences. Some people’s cases might be similar, to be sure, but to understand any similarities we need to move beyond the “what is?” question. Indeed, if we are not willing to push the parameters of loyalist studies beyond semantics, the field will stagnate. We are aware of the inherent contradictions of the people “loyalist studies” represents. Most notably, people changed sides. But what we don’t know is how many people changed sides? How often did it happen? Was it broad-based? We know the British Army played a role, but how did the soldiers do this? We know people left the United States. We have a vague idea how many people left. But who were these people? Did they settle with their friends? Where did they settle? In Upper Canada? In New Brunswick? The Caribbean? Britain? Why did they go there? And what was their life like? To put it differently, what were the short- and long-term implications of their loyalism? Of the people who remained in the United States, did their friends stay, too? Perhaps most importantly of all, who were the loyalists? There could be a bright future ahead for loyalist studies. But it depends on where we go from here, what we work on, and how we approach the field. To be sure, I hope there are scholars working on those questions and, in turn, if and when their work comes to light I hope it pushes the field forward, inspiring the next generation. Christopher Minty is an Assistant Editor at The Adams Papers Editorial Project at the Massachusetts Historical Society. He holds a B.A. (Hons.) and a Ph.D. from the University of Stirling, and is working on a book that examines the origins of the American Revolution. You can find him on Twitter @cfminty. Ruma Chopra, “Enduring Patterns of Loyalist Study: Definitions and Contours,” History Compass 11, no. 11 (2013): 983–93. There is a lot of scholarship on this. But see, for instance, Joseph S. Tiedemann, “Patriots by Default: Queens County, New York, and the British Army, 1776–1783,” The William and Mary Quarterly 43, no. 1 (January 1, 1986): 35–63; John W. Shy, A People Numerous and Armed: Reflections on the Military Struggle for American Independence, rev. ed., Ann Arbor Paperbacks (Ann Arbor, MI. : University of Michigan Press, 1990); Sung Bok Kim, “The Limits of Politicization in the American Revolution: The Experience of Westchester County, New York,” The Journal of American History 80, no. 3 (December 1, 1993): 868–89. Philip Ranlet, “How Many American Loyalists Left the United States?,” The Historian 76, no. 2 (June 1, 2014): 278–307. Wallace Brown’s The King’s Friends (1965) remains the standard interpretation, despite its age and its reliance on an unreliable body of sources. 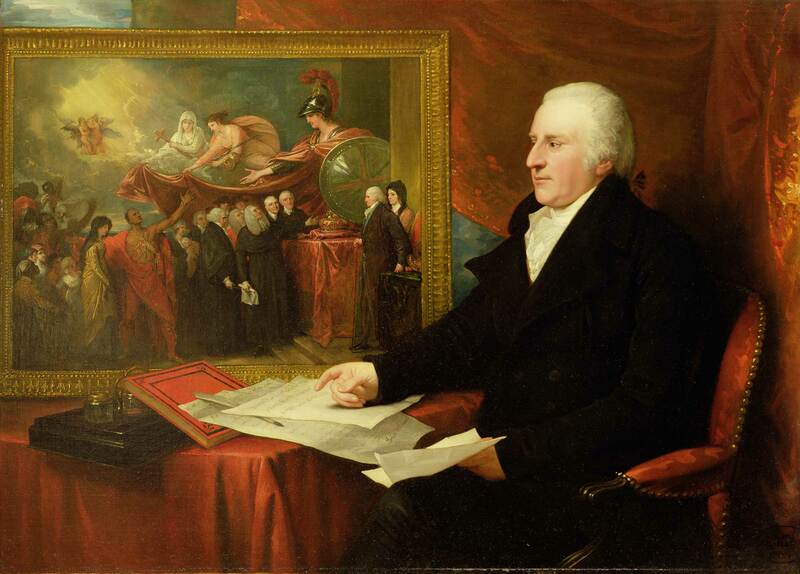 Image: Benjamin West, John Eardley Wilmot, 1812, Yale Center for British Art, Paul Mellon Collection. Thank you for this enjoyable and quick read!! These are questions Nova Scotian and Maritime historians have worked on for many years. One citation that you might have considered would be Barry Cahill and Jim Walker’s 1999 debate in Acadiensis. I owe Chris a long overdue apology. I admit it Chris, I was the one who asked the question “what is a loyalist?” at the 2014 Omohundro Institute meetings in Halifax. After your session was over, my partner (who is not a loyalist historian), looked at me and said “Don’t you think you just hijacked the session?” I have felt guilty ever since, for after such amazing presentations from new and established scholars like Chris Minty, Liam Riordan, and Carole Troxler, they deserved better questions. In my defense, I was thinking about how to pose the question `what is a loyalist’ in my undergraduate course at UNB. Also, I did not think that the question would take over the entire Q&A.